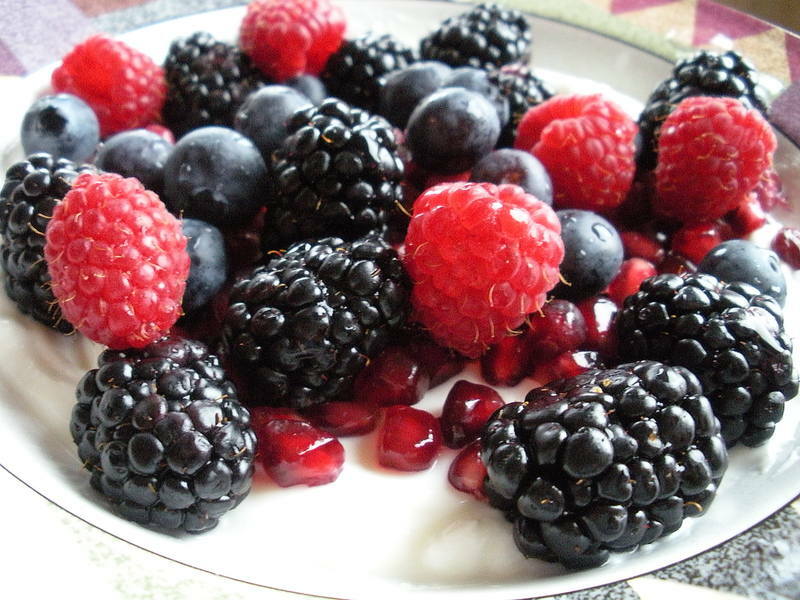 There are many foods that can help keep skin looking and feeling fresh. Concentrating on water-rich foods is one of the most effective ways to help build healthy and strong cell membranes, which in turn will help keep your body hydrated. Carrots, sweet potatoes and oranges are packed with Vitamin A and Vitamin C, both of which help restore damaged collagen. Eat carrots with hummus for a nice, healthy snack, baked sweet potatoes as a side dish at dinner and regularly snack on juicy organic oranges. Your skin will thank you. These protein-rich foods help your body produce the vital anti-aging substance, hyaluronic acid, which helps support connective tissue. Hyaluronic acid is also a natural moisturizer for the cells, helping smooth fine lines and wrinkles from the inside out. Colorful, tasty and protective, berries and their naturally potent antioxidant properties help fend off free radicals that age the skin while simultaneously boosting collagen production levels. Throw in a handful of raspberries, blueberries and pomegranate seeds into your next smoothie. Spinach, cabbage and kale contain a powerful antioxidant called lutein which has been shown in recent studies to help boost skin hydration and elasticity—two things your skin needs to fight wrinkles. So by adding a salad to your meals you will actually be helping your skin. By incorporating just a few of these foods, you can eat your way to healthier and more youthful looking skin. Howard Murad, M.D., FAAD, a world renowned skincare expert and founder of the Inclusive Health movement. Click here for more articles by Dr. Murad.